Bible, notebook, pen or pencil. Your own bedding, sheets, pillow, blanket, etc., or sleeping bag. Towels, wash cloths. Include enough towels for swim times. Enough clothing for four (4) days. (See rules for what is acceptable clothing for the week). Everyone should bring two (2) pairs of shoes. Tennis shoes are required for sport activities. All your personal items such as toothbrush and toothpaste, comb or brush, soap, etc. It would be a good idea to bring a light jacket. A ball glove if you are going to play softball. Spending money for concession stand...It will be open about three times each day. Please see camper policies concerning restrictions on cell phones (& technological devices). Anything else that would dishonor Christ. Online Registration Form needs to be completed for preregistration by July 1, 2019 and helps us to organize our classess. You still must call (or text) Ron Shults (479-381-9481) with your final total numbers Sunday night before the week of camp--so you will all have beds for camp! If there are ANY changes to your final numbers (after your July 1 submission), please complete the Online Registration Form again and let us know it's a final count--this is what we use for class and cabin assignments. 2019 Registration fee is expected to be $155 per person, due to the new location & available opportunities. OBE Background Check Form Now only offered online through a secured website to provide your information and payment and the results are sent directly to OBE. Please note that background checks are performed for OBE volunteers and all data is secure. When you use the online option, Springdale Missionary Baptist Church is listed as the requesting organization because our OBE Executive Administrator, Wes Hulvey, is in charge of background checks. SMBC serves as the host for this service to OBE, but your info ONLY goes to OBE staff for OBE purposes. If your church already conducts regular background checks, you may use this Exemption Form in order meet camp requirements. 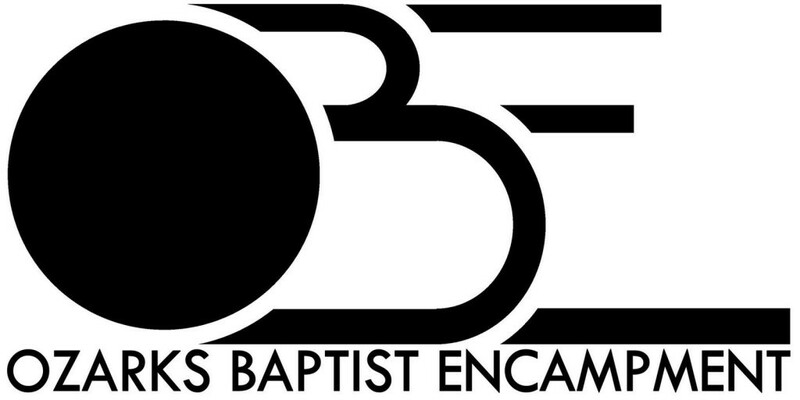 Camp Bible Quiz questions may be submitted to Ben Crozier by July 1, 2019. (479) 419-0122 call or text if you have any questions.